We as the UM community have had an unfortunate semester due to the loss of two bright and gifted students. I knew both Scott Monat and Michael Anderson. However, I find The Miami Hurricane’s coverage of both of their passings to be atrocious. When Scott died, incorrect information was posted about his death on the Web site. I’m just glad the version posted online didn’t make it to print. With Michael’s passing, I’m angry the Hurricane could not even provide an entire full page article. Actually, I would have been able to forgive the full-page article for one photo of Michael. Was it not possible to find even one photo of him on Facebook? How about a quote from one of his friends? The cancellation of the Ibis Ride received more coverage than passing of Mike. The Ibis Ride article took up almost the entire page while the article on Mike received just a few paragraphs on the right-hand column. On the Web site, there is a listing underneath the article about what might cause cardiac failure and it specifically lists illegal drugs such as cocaine. This makes it sound like drugs caused Mike’s death, which to my knowledge, does not seem to be the case. Hopefully, the Hurricane will never have to write about a student death again. But in the unfortunate case that it does, I hope it does with more class and respect than it has done over the last few months. Ed. Note: The Miami Hurricane does as much as possible to report as quickly and as accurately as possible on student deaths. There were no inaccuracies in the breaking news story on Scott Monat’s death; a clarification was necessary in regards to his year in school and that clarification that was made well before the story went to print. 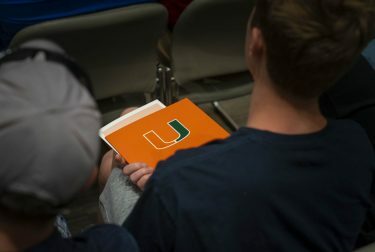 The Miami Hurricane sought out friends, photos and additional information on Anderson within the constraints of a deadline, and thought it prudent to publish what was available to inform the community, even though all of the information we would have liked was unavailable. The online version of the Anderson story features multiple reasons for cardiac arrest in men under the age of 35, one of which is illicit drug use. In no way does the info box highlight one possible cause of the cardiac arrest.